This club could be considered the 10-iron, as it is next up from the 9-iron in both length and loft. The pitching wedge is used for full shots of 125 yards or less for most amateurs. It’s also a favorite for greenside chips and pitches. 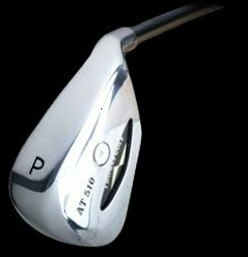 The standard pitching wedge has 45-50° of loft.